Eden Hazard is set to claim his 100th Belgium cap after being named in the starting XI to face Cyprus in Sunday's Euro 2020 qualifier. The Chelsea star first played for his country in November 2008 after breaking onto the scene as a highly rated teenager with Lille. He swiftly became a fixture in the senior squad despite his tender age and was a leading member of Belgium's so-called 'golden generation', playing a key role in ending their absence from the World Cup and European Championships. Belgium returned to the World Cup in 2014 having not featured in the two previous editions, while their qualification for Euro 2016 ended a 16-year hiatus from that competition. 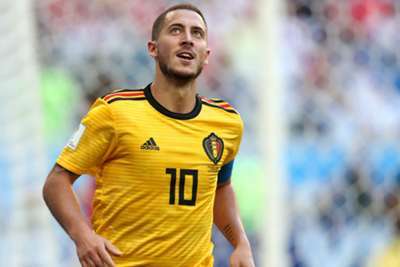 Last year, Belgium enjoyed their best ever showing at a World Cup when finishing third – Hazard netting three goals in six games to win the Silver Ball, the award handed out to the second most impressive player at the tournament.